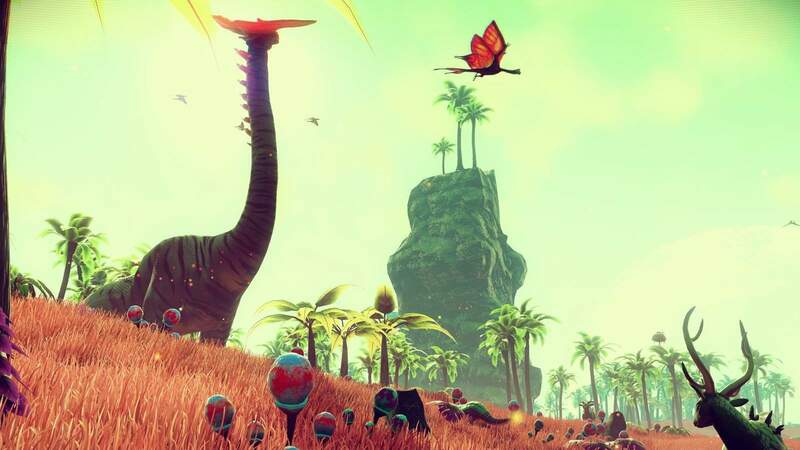 It seems that things are heating up for No Man’s Sky and the the team behind it. Last week we reported on a scandalous news story about the misuse of a patented Superformula just after the game went gold. The news in question states that Hello Games unlawfully used a patented mathematical equation to generate its procedural universe. However, newly acquired information makes it seem like the accusation might be nothing more than a ‘patent-troll’ situation. Last week a Dutch research lab called Genicap claimed that the game uses its patented Superformula. This mathematical equation is an extremely powerful, yet cost-effective, method of generating procedural objects in a 3D plane. It is worth noting that the Superformula is patented, which is interesting because mathematical equations are not normally patented. Rather, the patent is granted because of the huge number of applications that the Superformula can be used for. As such, Genicap plans to use the patent to make some money by licensing it out to companies. No Man’s Sky put a wrinkle in that plan. Sean Murray, founder of Hello Games and creator of No Man’s Sky, mentioned in a 2015 interview that he found and used a “superformula” to help aid in the creation of the game’s universe. Given this fact and how the game is heavily advertised to have a procedurally generated universe, it was only a matter of time before Genicap made a move. Genicap representative recently told Eurogamer that it was incredible what Hello Games has done with the patented Superformula. They even mentioned that the Superfomula’s creator, Johan Gielis, was extremely proud that his formula could help in the creation of something as large as No Man’s Sky. Genicap then issued some friendly “advice” to Hello Games in a bid to get the companies together to talk about everything. Sean Murray is obviously not pleased by the news. In an attempt to still the rumours about the story, he tweeted that the claim is unsubstantial. It looks like Hello Games did not use the patented Superformula after all… or did they? Until Genicap releases a new statement, this may simply become a bit of a “he-said-she-said” situation. Alternatively, this situation could also be Genicap’s attempt at putting their Superformula in the spotlight. A less than unsavoury tactic, given the incredible buzz surrounding No Man’s Sky. There is no word on whether the two companies have met to talk about this issue. Given Murray’s tweet, however, it is safe to say that No Man’s Sky is in the clear. For now, it seems that the game is still well on track to release on 9 August 2016 for PC and PlayStation 4. Overwatch is now Live on all Platforms!